HARRISBURG, Pa. (AP) The latest effort by Gov. Tom Wolf to impose a fee on municipalities that rely on state troopers, instead of a local police force, is generating new conversations, if not an embrace, as budget makers try to end the constitutionally questionable use of highway dollars to underwrite the Pennsylvania State Police. This is the third time Wolf, a Democrat, has tried to impose a fee on a lengthening list of municipalities that are closing their police departments. The issue has been a sore spot for at least two decades, since then-Gov. Tom Ridge, a Republican, sought unsuccessfully to extract reimbursements from the largest municipalities engaging in the practice. Wolf has not had much support from Republican lawmakers, who control the state Legislature and represent most of the areas that receive state police coverage. Previously, Wolf proposed a per-person fee. This year, he is floating a sliding-scale fee, starting at $8 per person for municipalities with 2,000 or fewer residents and rising to $166 per person for municipalities with 20,000 or more residents. It is projected to raise $103 million a year. Transportation planners, construction firms and engineers began raising the alarm anew several years ago after watching a growing portion of highway funds get diverted to the state police budget. A consensus built in the Capitol to clamp down on the decades-old diversion of highway dollars. But there is no consensus on how to fill the gap. Sen. Pat Stefano, R-Fayette, said he wants to explore whether the state police should charge all municipalities for the broader range of services they provide, such as tactical response and laboratory tests. "It's one of the different models of recovering revenue, instead of just focusing on rural areas and areas that don't have municipal police services," Stefano said. Stefano, who chairs the Senate committee that handles state police issues, said he will hold hearings on that idea, as well as on how to encourage municipalities to share police service with neighbors. State troopers are the only police force in 1,291 of the state's 2,561 municipalities, according to state data. Another 419 municipalities get part-time coverage. The remaining 851 pay for their own police force or share. There are no eligibility rules or poverty test for municipalities to get state police coverage. There is no requirement to try to form a regional police force or purchase coverage from a neighbor. Overall, a quarter of Pennsylvanians receive some sort of coverage from the state police. Those that get full- or part-time police protection generally live in rural or exurban areas, with fewer people and more real estate than the average municipality. 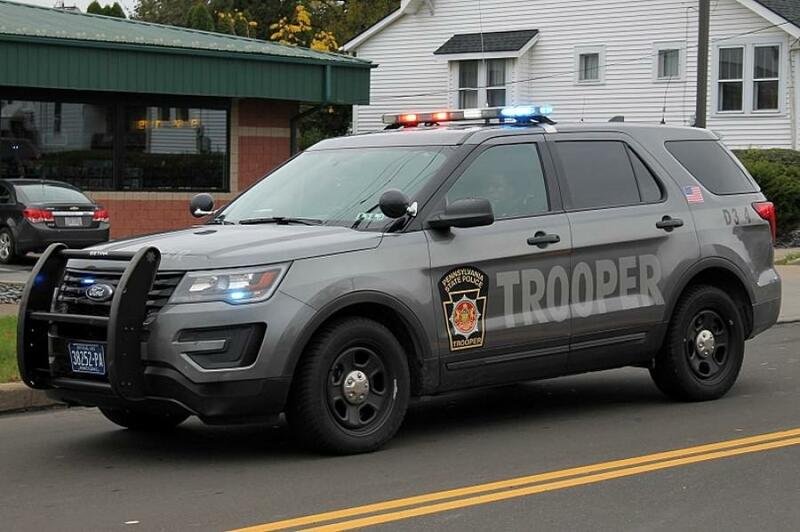 The state police budget has risen quickly in recent years and is increasingly reliant on motorist fees and fuel taxes that, under the state constitution, are strictly for highway construction, repair and safety. Those highway dollars now underwrite two-thirds of the state police's budget, $770 million out of $1.3 billion. That's even after a 2017 report by a state legislative committee strongly suggested that more than $200 million a year in highway construction funds are being diverted unconstitutionally to pay for municipal police coverage. The municipalities that finance their own police forces are paying more than $2.3 billion a year for the service, or about $250 per person. Philadelphia alone is budgeted to pay about $710 million this year for police. Pennsylvania's 20 most-populated municipalities all pay for their own police forces, as do the vast majority of municipalities with more than 10,000 residents. Hempfield Township in Westmoreland County, with a population of about 43,000, is easily Pennsylvania's most populous municipality without its own police force. Wolf's proposed fee would increase its budget of $14 million by 50 percent, said George Reese, chairman of the township's supervisors. That amount would require a tax increase without adding any additional services, Reese said. But, he added that he recognizes that times have changed and he would like to discuss it with the governor. "I'm not dodging it," Reese said. "I'm ready to talk about it."